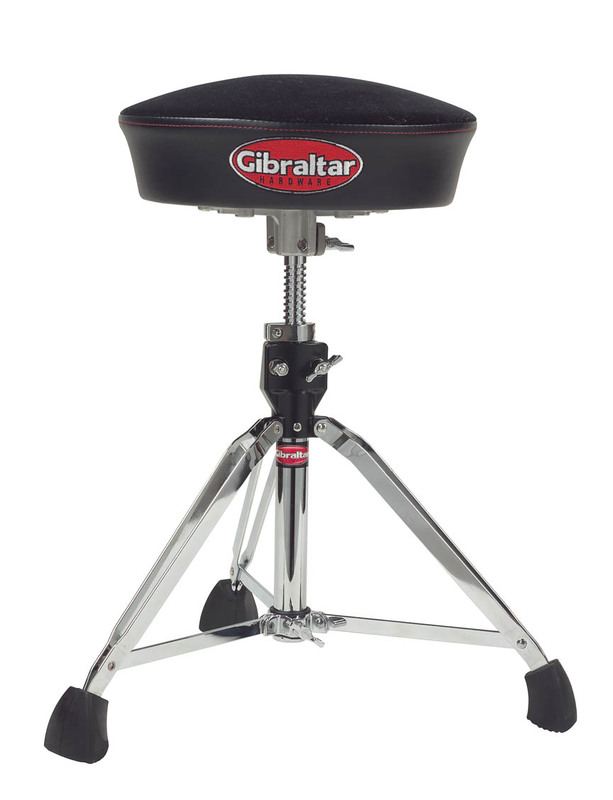 Gibraltar's Dome seat design with cloth top; vinyl sides and color stitched logo. Double braced tripod base with hinged height adjustment. Adjusts from 19.5 in. to 29 in. height. Super foot solid foundation rubber foot support.